The Culligan 1000R water filter has easy twist-on, twist-off, no-mess technology. Easily twist off the old 1000R filter and twist on the new 1000R filter. The Culligan 1000R filter cartridge produces healthier, better-tasting drinking and cooking water. The Culligan 1000R water filters reduce lead, lindane, atrazine, chlorine taste and odor, bad taste and odor, and sediment. 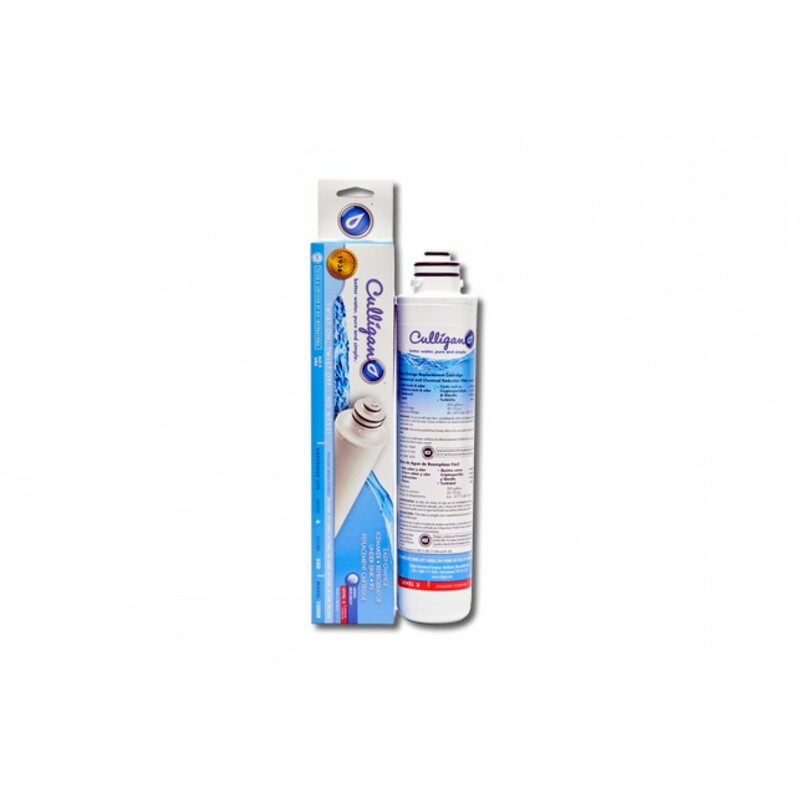 The Culligan 1000R filter cartridges reduce cryptosporidium and giardia cysts. Features carbon block technology and a compact design with a twist-on, twist-off mechanism. The Culligan 1000R water filter is an easy change icemaker, refrigerator, undersink, and RV replacement cartridge. The Culligan 1000R cartridge is an easy to replace filter. Twist-off the old filter and twist-on the new filter. No mess! The Culligan 1000R replacement water filter life is up to 6 months or 500 gallons. The water filter life also depends on the quality of your water and your water usage. The Culligan 750R can be used instead of the Culligan 1000R. However, the Culligan 750R does NOT reduce as many contaminants as the Culligan 1000R. The Culligan 1000R water filter can be used in place of the Pentek QC10-CBRR water filter. The Culligan 1000R filter also fits the SY-750, SY-750S, IC-750, and RV-750 water filtration systems.